Our range of Fuji Xerox labels have been specifically designed to pass through the often tortuous paper paths that all printers require. They are suitable for virtually any type of laser and ink jet printer. Create your own labels with ease using these high quality laser labels. 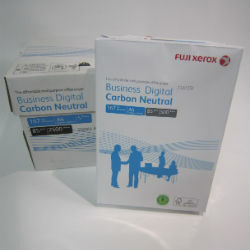 Fuji Xerox Business grade copy paper. 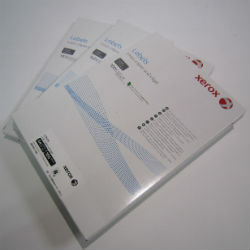 Ideal 85gsm paper for producing a high quality print or conventional black and white on a super smooth paper. Heavy weight, high white A4 copy paper. 5 reams in a carton. Please contact one of our friendly staff for pricing and quantity discounts.